Today was a great morning on the water. With the seas at 1.6ft at 4 seconds I decided to stay in the intracoastal, since my wife really hates it when its choppy. Since I am getting better at reading my sonar, when I was heading to a spot my wife and I frequent, I marked some structure and fish. I put the boat in neutral and determined my drift path and then anchored up on the mark. 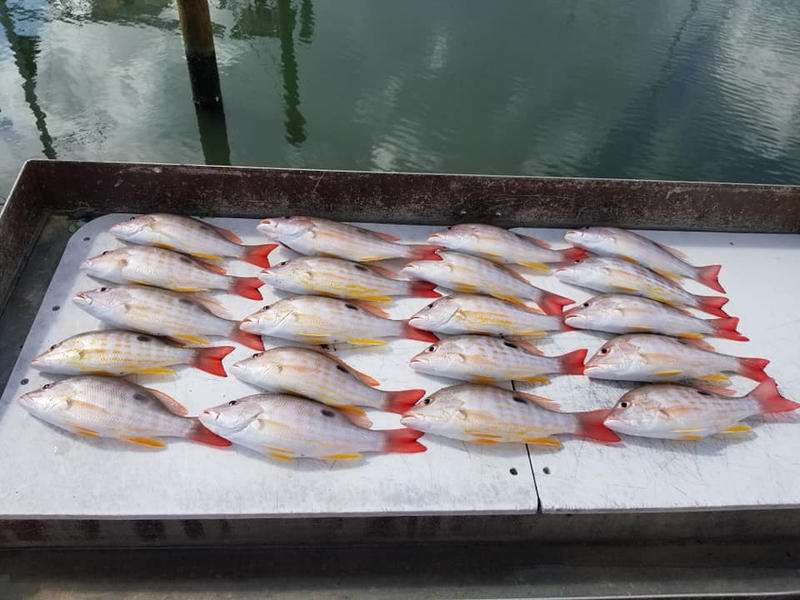 Within 30 seconds my wife had her first Lane Snapper. I baited her back up got and got my line down and within a few minutes we both had a fish on the boat. I was thinking this was going to be a good day. We left the dock at 7am and we were back at the dock at 930am. We went though 8 dozen shrimp, and we pulled up a fish every cast. We kept the Lane snappers 10 inches and above. Nothing very large the biggest one was 12 inches. There was no wind this morning even though I wish there was. The bugs were biting as much as the fish were. All in all it was a good trip. While I was cleaning the fish I had a visitor coming up to say hello. 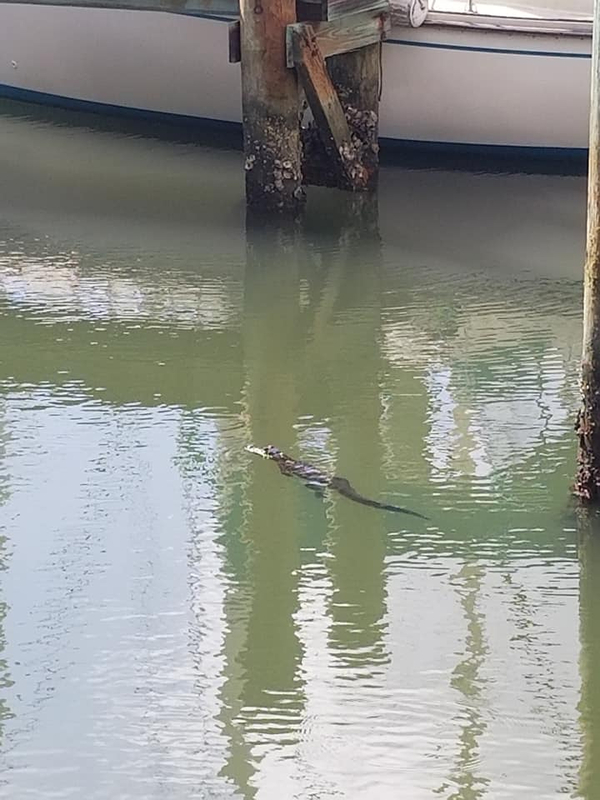 It was an alligator about 4 feet long. It didn't try to fight the big jacks for the scraps I was throwing, It just hung around chillin. Well I hope everyone else had a great day on the water. Tight lines my friends. Nice work on the Lanes!!! 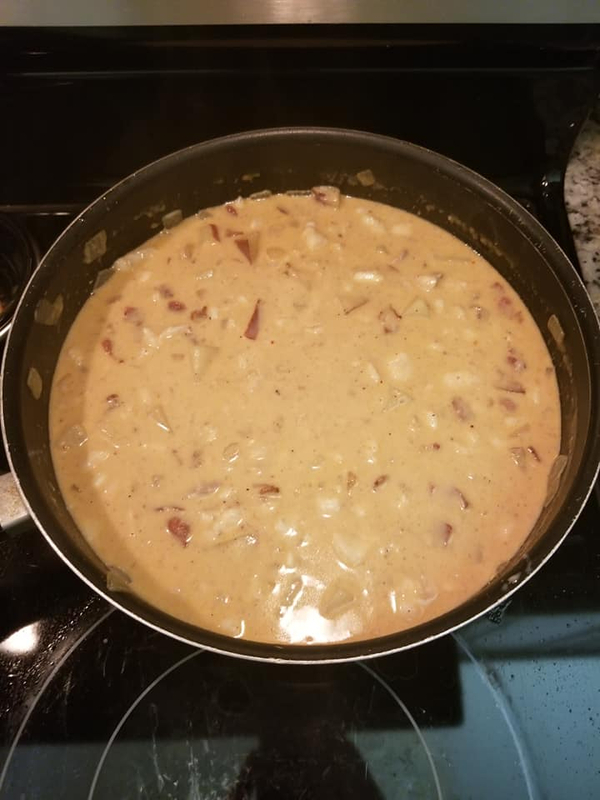 So with all the Lane Snapper my wife and I caught yesterday I made some snapper chowder. 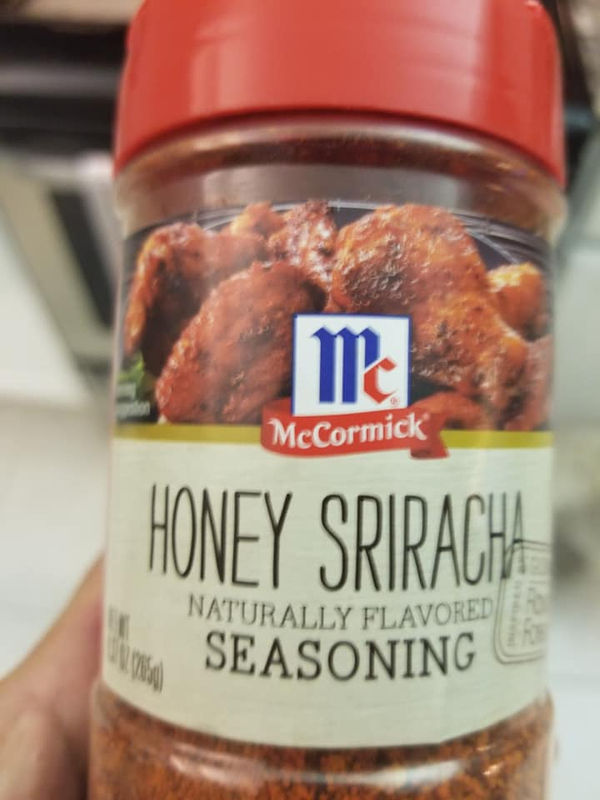 I posted the recipe below; however I substituted the Sriracha honey powder for the pepper. It is awesome!!!! I hope you all like the recipe. Tight lines! 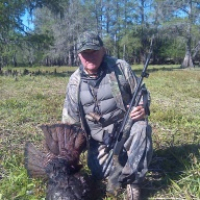 My wife does almost the same thing with mahi or king....all good! 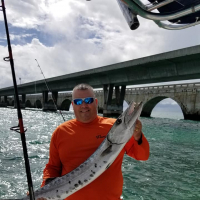 CostalCatch, I will have to try it with a mahi or king next time. I have only ever tried it with sheepshead and now snapper.